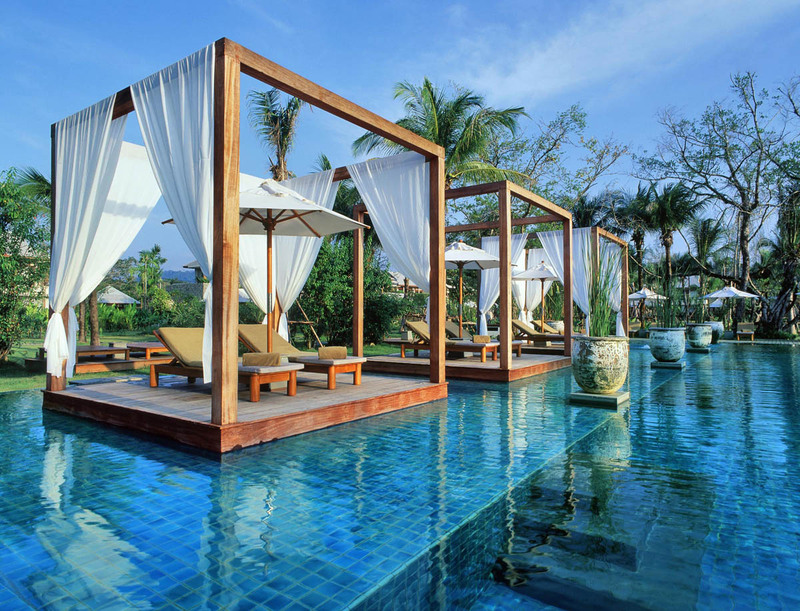 Our Sarojin Essential Tranquility is a truly outstanding luxurious Thailand Experience. Pathways is a secluded spa haven floating over the main estuary and central energy lay line of The Sarojin and hidden from view by fishtail palms. 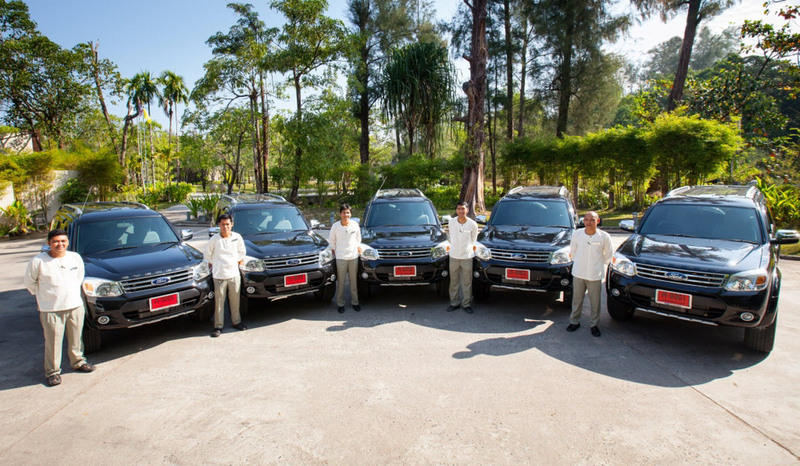 Prestige World In the spirit of the legendary Lady Sarojin, we carry forward her embodiment of extraordinary hospitality with the same careful attention to detail and lavish personal service. 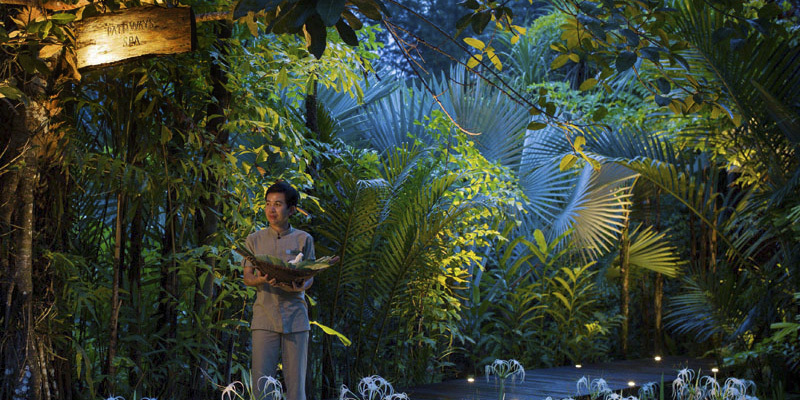 It is indeed, these little things that make the difference; arousing wonder and inspiration in The Sarojin experience. 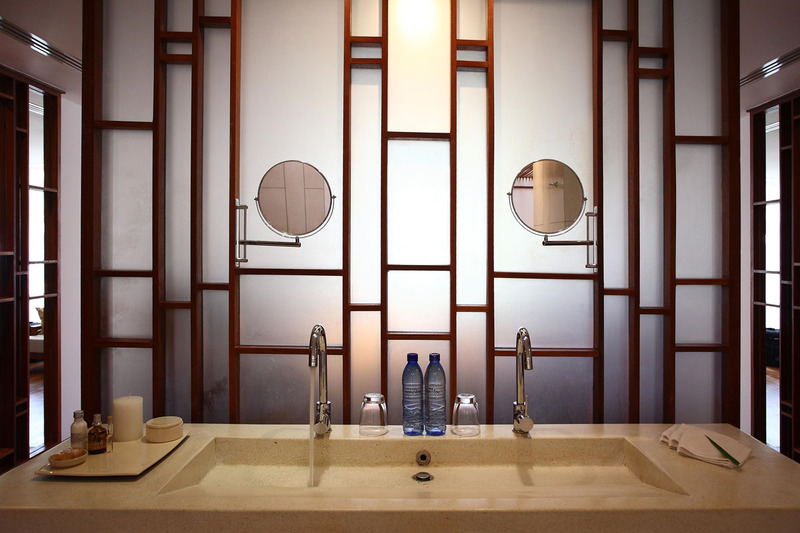 We will create you a perfectly design spa & yoga experience. You can even include a round of golf, wander through the tropical grounds, enjoy the stunning white sand beaches or private yacht charter, enjoy amazing Private Dining Experiences or relax in the sumptuous restaurants. 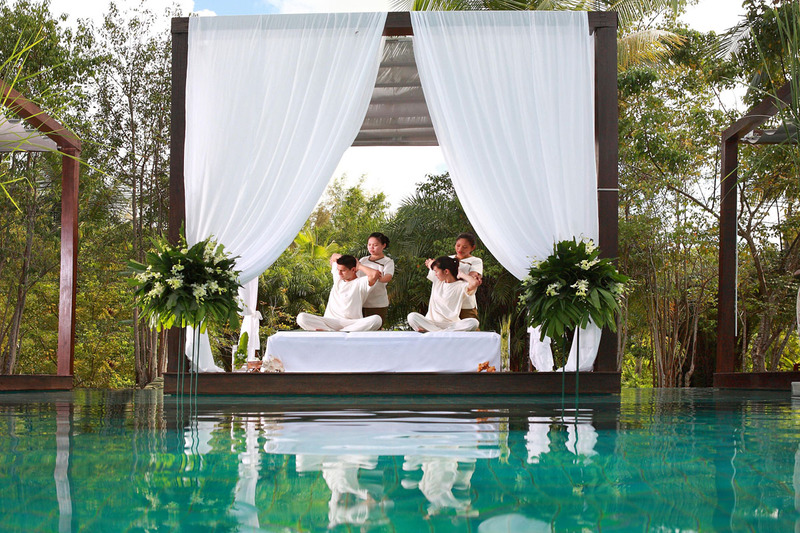 Whatever your desire, allow The Sarojin family to pamper you as Lady Sarojin would have, herself. Immerse yourself in The Sarojin-experience; you will find our multi-award winning boutique hotel is all the destination you will want. Private and tucked into a peaceful garden setting, the Pool Residences are exemplars of blissful living. The fourteen one-bedroom, 120 sqm residences are situated on the ground floor corners of the Sarojin’s seven two-storey guest residence buildings, and are the closest one can come to one’s own private utopia. Each Pool Residence is like a private, miniature resort itself, complete with a sunny garden and terrace, Thai lounge sala and private 5.5 metre by 3.5 metre plunge pool. 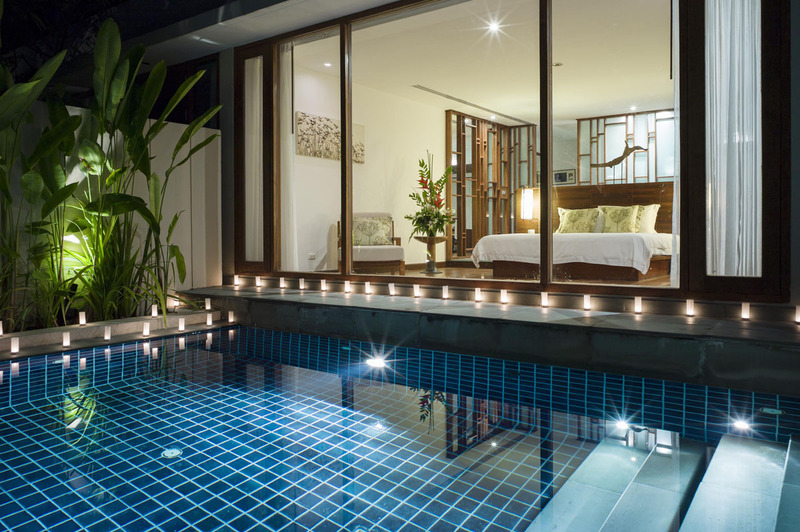 The Sarojin has one pair of connecting Pool and Garden Residences which are ideal for families, small groups as well as for guests with disabilities. 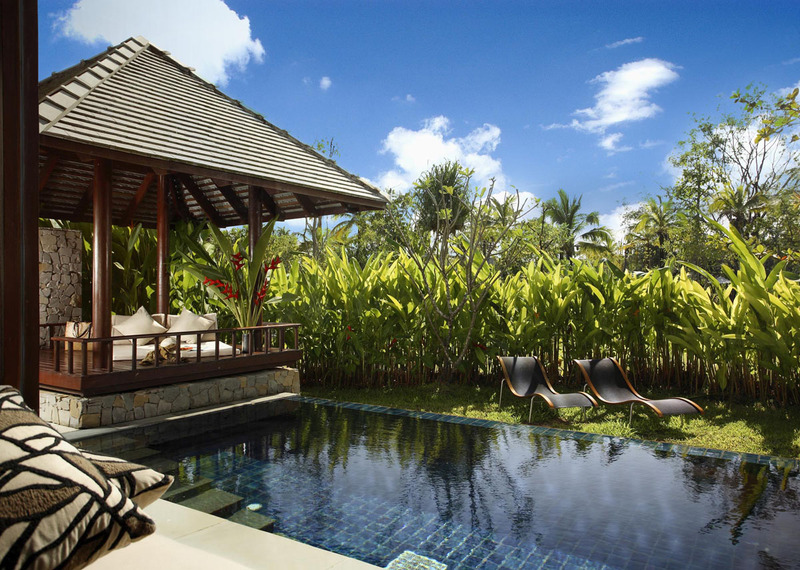 Each sunny Garden Residence exemplifies what The Sarojin represents: peace, serenity and harmony. The twenty-eight one-bedroom, 95 sqm residences are situated on the ground floor of the Sarojin’s seven two-storey guest residence buildings. 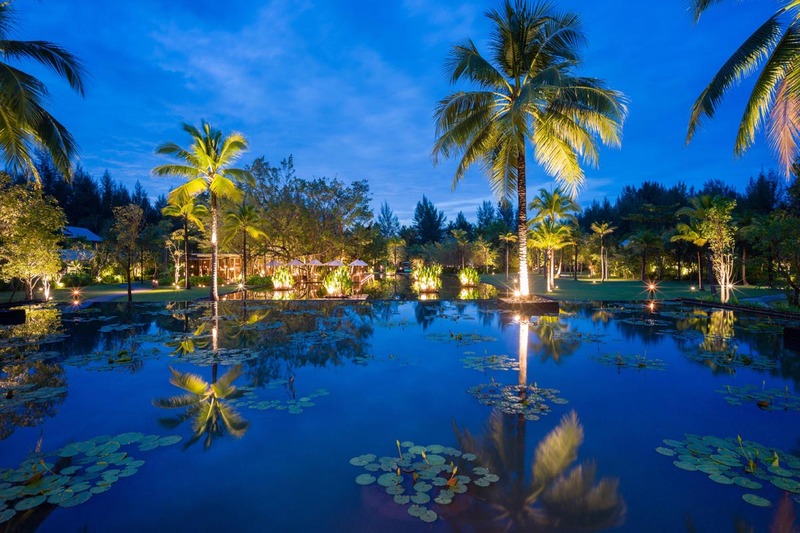 Each Garden Residence opens out onto a garden fringed terrace and private Thai lounge sala, itself fronted by The Sarojin’s tropical garden setting. We recommend committing a few hours a day to dozing in the sun as you listen to the chattering of the birds in the surrounding trees, or taking a short stroll to The Sarojin’s 25 metre square onyx infinity pool. One Garden Residence is modified for guests with disabilities. This Garden Residence also has a connecting door to an adjacent Pool Residence. Pathways is a secluded spa haven floating over the main estuary and central energy lay line of The Sarojin and hidden from view by fishtail palms. It looks out across the estuary and beyond to the Andaman Sea. Rustic yet comfortable, and privately entered by a meandering boardwalk, Pathways forms a key part of The Sarojin’s ‘well being’ experience. 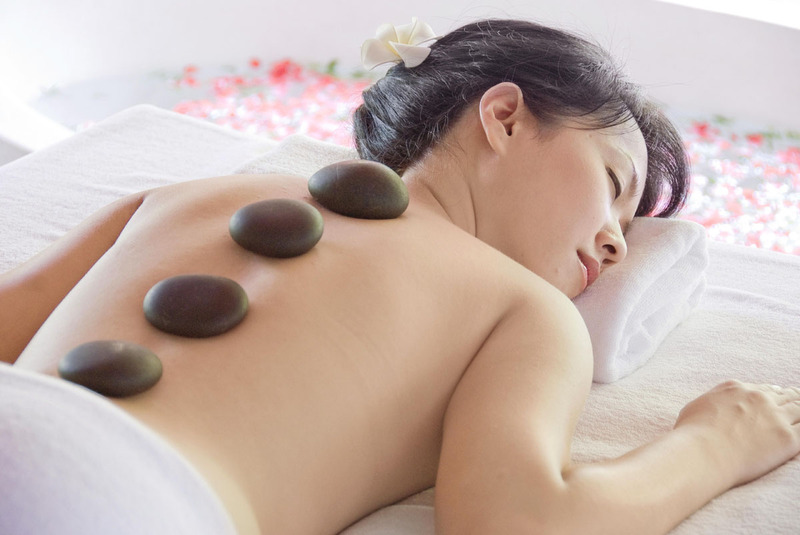 Massage in Thailand is described as an act of “Metta”, a Sanskrit Buddhist term used for an act of “loving kindness”. Thais believe all acts should be done with this feeling of “Metta”. This ancient and sacred belief gives life to the very heart of Pathways. 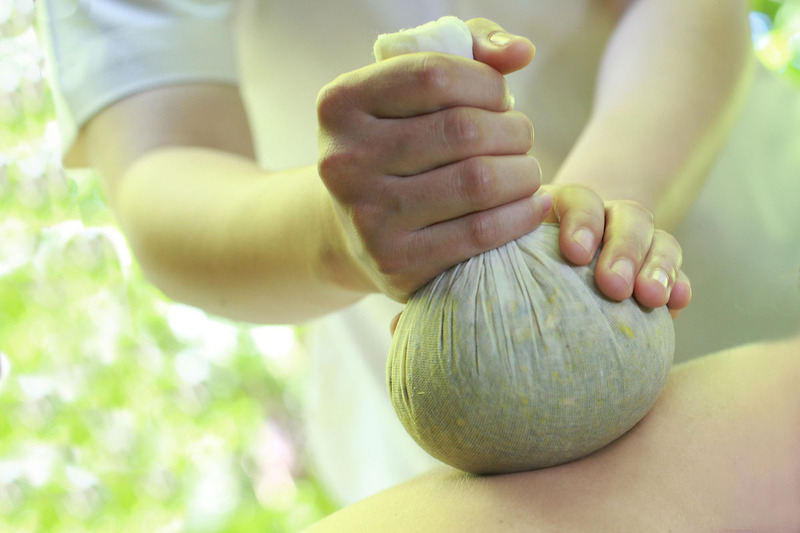 For centuries, Thai people and monks have used the natural healing properties of local herbs, trees, flowers and fruits to purify and rejuvenate their bodies and minds. 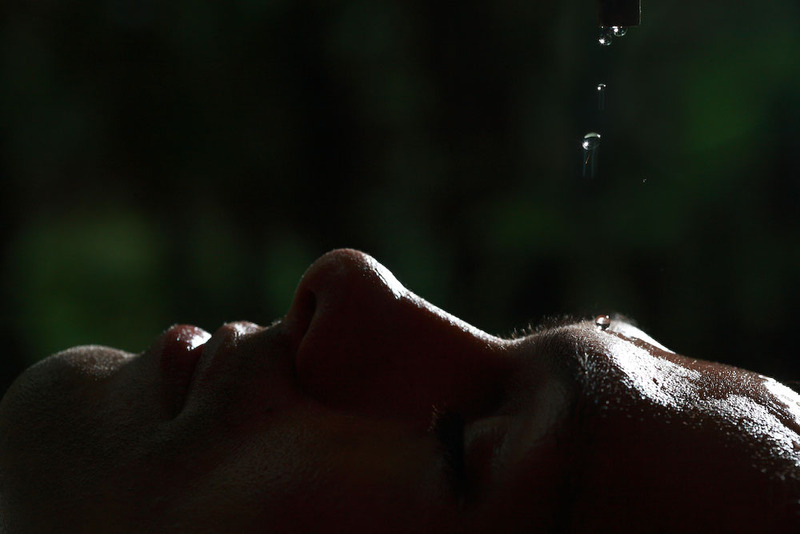 The journey to purification of the spirit is achieved by combining these rich earthy ingredients into secret remedies passed down from generation to generation. 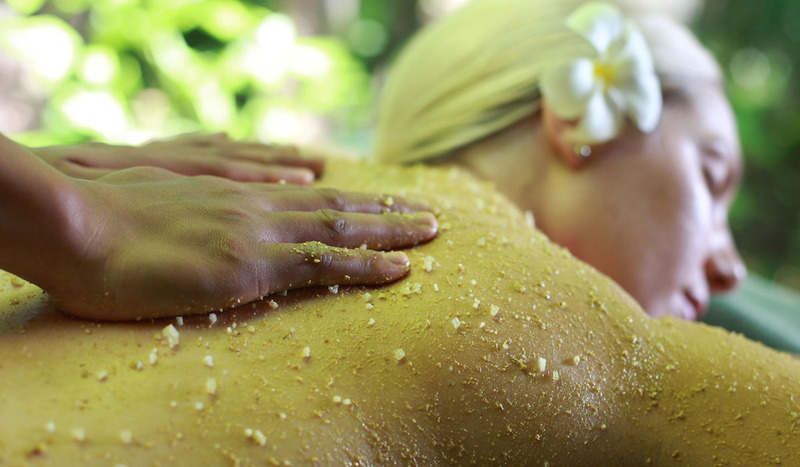 Pathways is privileged to have been able to preserve some of these traditions from the Ancient Kingdom of Thailand in a luxurious selection of natural body treatments for your enjoyment. 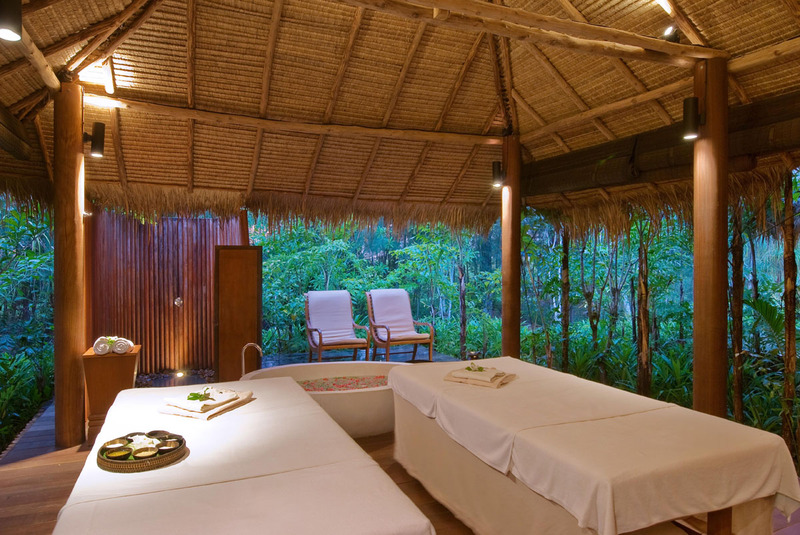 Pathways features two double and two single treatment pavilions, with outdoor timber poled showers and secluded couples’ baths set among natural surrounds, a facial treatment room, a post-treatment relaxation lounge area and a stilted Yoga and Tai Chi deck shaded by palms. 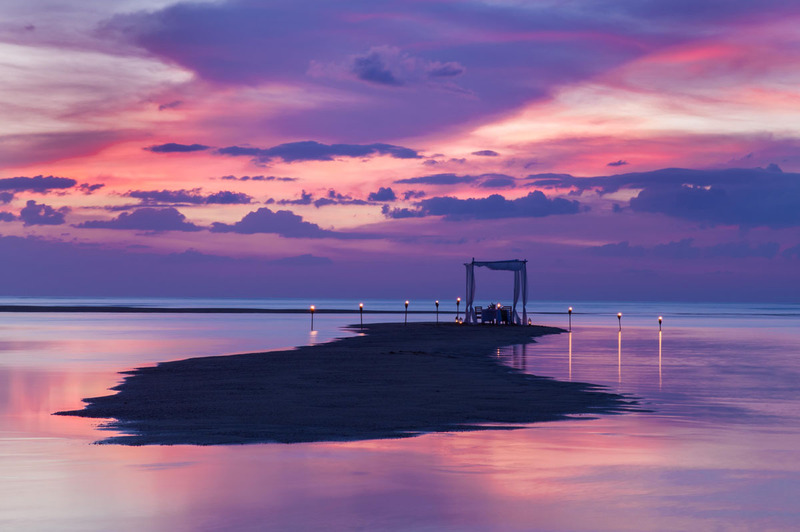 At The Sarojin there are no restrictions – we believe in granting you the freedom you need to make the memories you want. That’s why we encourage our guests to experience the intimacy of dining privately wherever you want. Refined, relaxed. 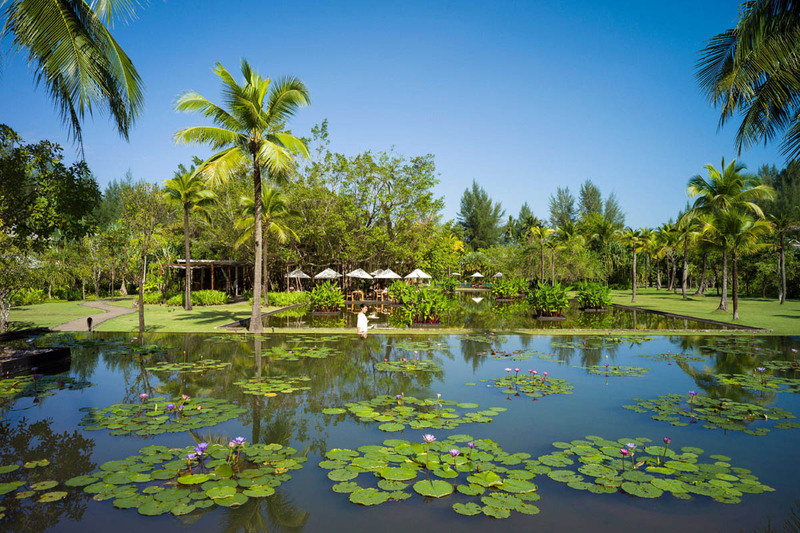 Set in the spiritual heart of The Sarojin, the Ficus restaurant is nestled under the hanging roots and canopy of the ancient Ficus tree and beside the magnificent Lotus Pond. Delight in choosing from a sumptuous daily variety of specially created traditional and contemporary Mediterranean cuisines subtly infused with delicate flavours and twists. We’ve developed a balanced menu of original recipes and old favourites. The Cellar is an open air bar and cooled wine cellar tucked away under the ancient Ficus Tree. The Sarojin Cellar has received several awards including Best Wine List in Thailand, Best Regional Wine List, Best Resort Wine List and an ‘Award of Excellence’ for the last four years from Wine Spectator. We take great pride in having one of the best wine collections in Thailand and we encourage our guests to personally taste and choose their wines in the cellar with the help of our trained sommelier. Breezy, rustic and chic, The Edge lives up to its name with its gorgeous beach and sea views. 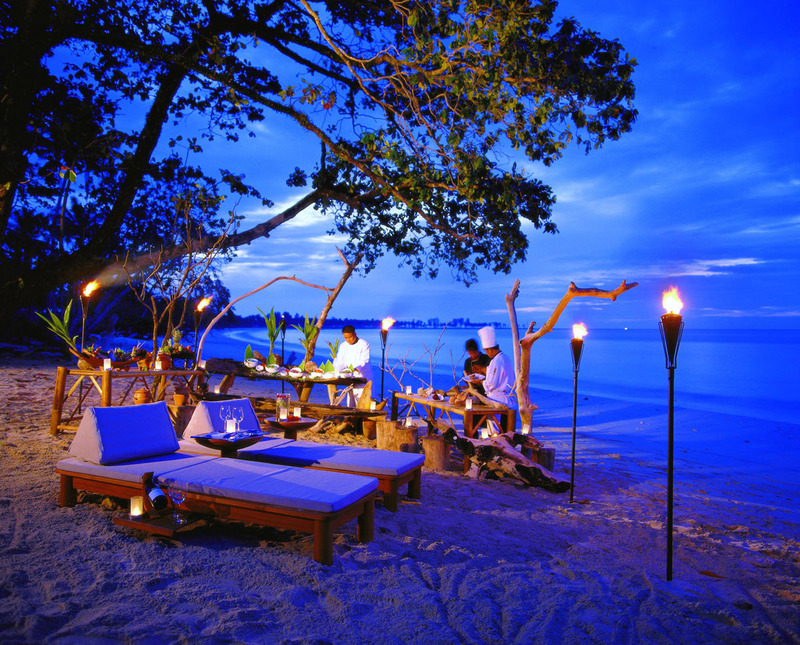 Dine under our open air timber pavilion or on the sand under the shade of the surrounding trees. We create fresh Asian alfresco and signature Thai and seafood delicacies from ingredients fresh from the Andaman Sea, local markets and our own garden. Snorkel and SCUBA dive in the Similan or Surin Islands Marine National Parks (only between November and May), one of the world’s top ten dive and snorkel sites. 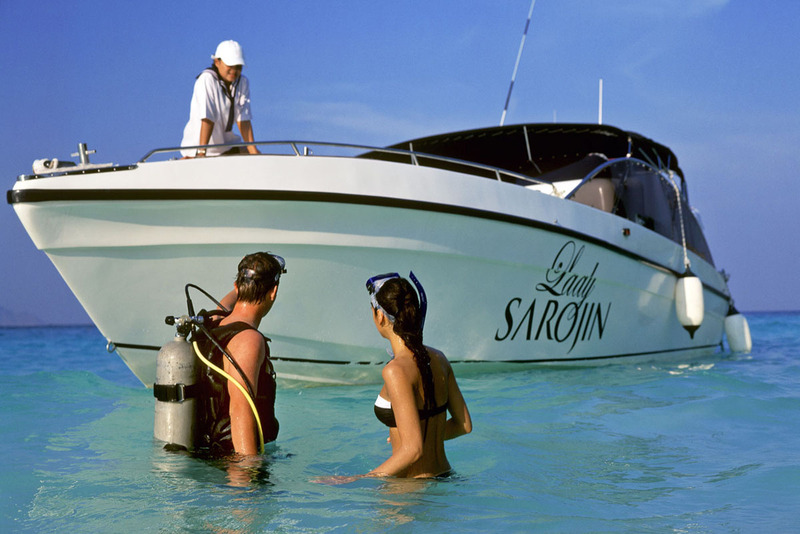 Just one hour from our beach in the safety and comfort of our luxury 38 ft boat, Lady Sarojin, the islands are renowned for their underwater beauty, marine life and coral, soft beaches and lush interiors. With reefs that begin only yards from the white sand beaches and a visibility depth of up to 30 metres, the islands offer a superb snorkelling and diving experience, where even novice swimmers can enjoy an exclusive underwater world. Cruise at leisure in Phang Nga Bay, only 40 minutes away and renowned for its dramatic limestone islands jutting vertically out of the emerald green water. Enjoy sea canoe journeys and hidden lagoons and caves exposed only at lower tides, and explore quiet beaches and areas of untouched natural beauty from our luxury boat. The bay is also home to a remarkable sea gypsy village built over the water on stilts and with a giant rock monolith guarding its rear. 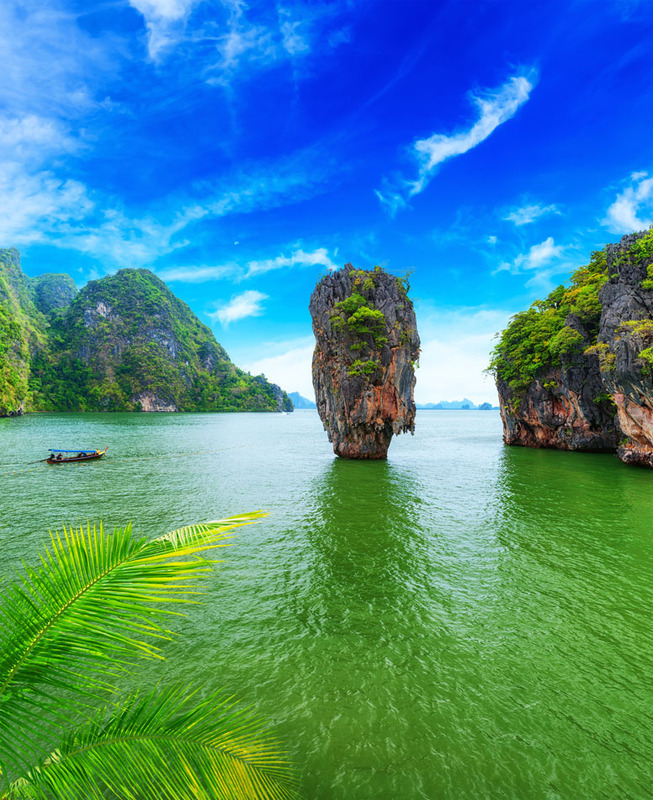 Phang Nga Bay’s most famous limestone rock is Tapu Island, also known as James Bond Island, named for its appearance in the film ‘The Man With The Golden Gun’. 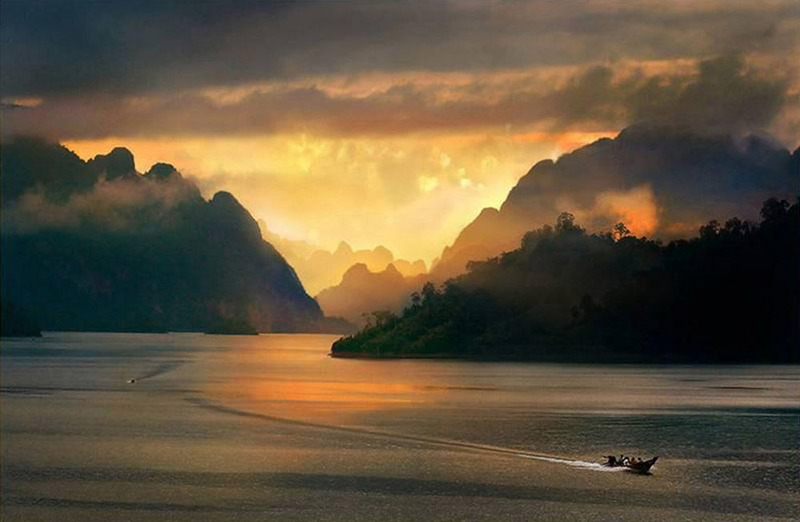 Explore the adventurous playgrounds of Khao Lak and Khao Sok National Parks. These lush jungles are only 40 minutes away by car and contain primary forest, limestone mountains, breathtaking lakes, caves and wild animals. From the mountains, waterfalls cascade into a lowland rainforest dated to be 160 million years old. You can jungle or elephant trek, or safari by canoe or jeep. 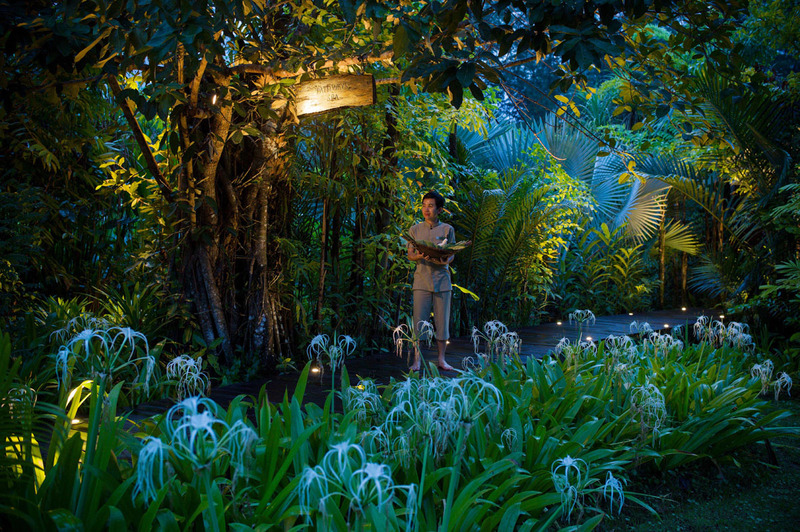 It is nature at large and a much vaunted addition to your Sarojin Experience. When it comes to adventure, there are almost unlimited options. While you sojourn with us, why not also try deep sea or lagoon fishing, sea cave canoeing, jungle safari, hot springs, mountain biking, elephant trekking, rock climbing, white water rafting, bird and wild life watching, temples visits, or shopping? 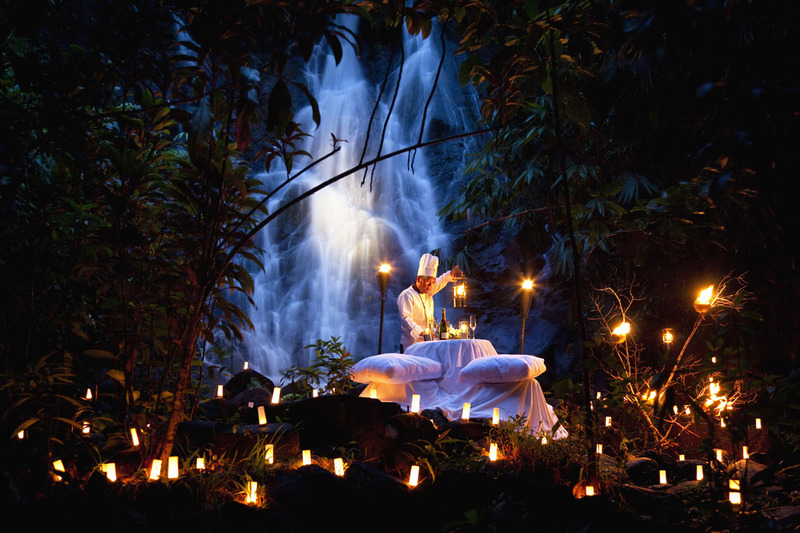 Walk, swim, climb, The Sarojin is wonderfully located to offer our more thrill seeking guests more challenging adventures into the wilds and has worked closely with the national park guides to offer a range of more “extreme” adventures. These can be tailor-made as desired but are not for the faint hearted! An adrenaline enthusiast’s dream. 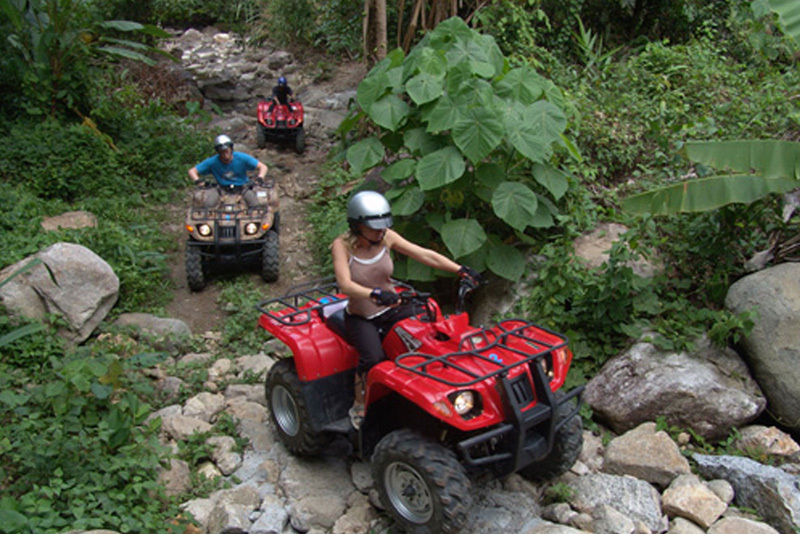 Options include; extreme jungle trek, extreme rock climbing, extreme Mountain Biking. A range of excursions offering a rare opportunity for a more authentic insight into the local Thai way of life and culture of the surrounding rural and fishing community. 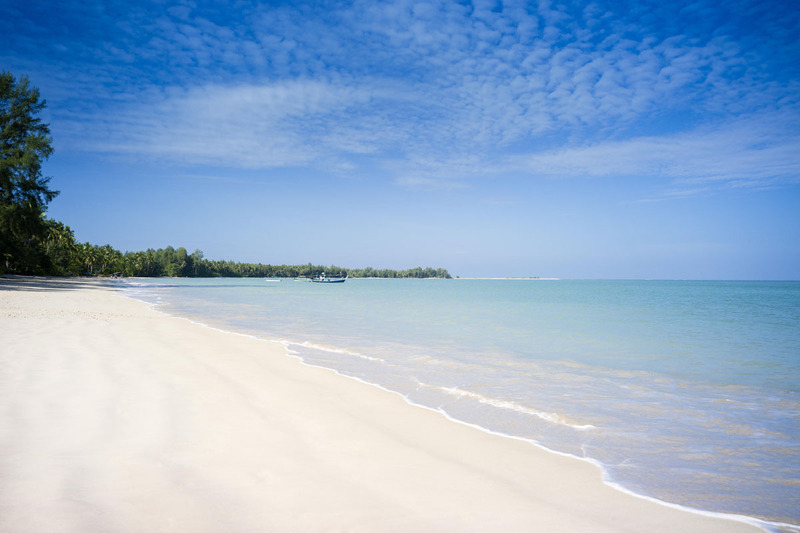 Through The Sarojin’s sustainable and responsible tourism work and local projects supported by The Sarojin Khao Lak Community Fund, additional opportunities exist for further insight and involvement. 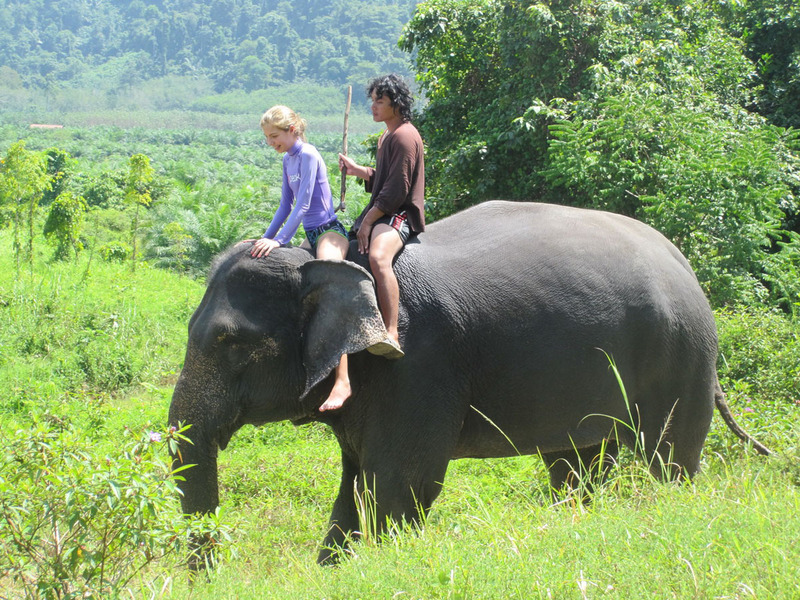 Farming life (fruit, vegetables, spices), fishing communities, home industries, temples, monks, schools, day in the life of a local, be a mahout for a day, cook for disadvantaged children and much more.